You know those “easy” patterns that end up being fussy and rather a pain to knit? Well, I’ve just knit one. It’s a baby hat that should have taken much less time than it did. This is the “Rainbow Marley” by Susan B. Anderson, although as you can see, I didn’t use rainbow colors. I decided to try to use up some pinks and purples from stash. I also opted out of the funky hat topper thingie, because it was going to take a really long time to knit it, and I’m not sure that it was any cuter than a Pom Pom. Really, for a baby hat, this was too much effort for something a baby will wear for a short time, and knitting it didn’t make me feel very happy. Back to the Magic Coffee Baby Hat pattern, which is a quickie and I always love the results. I love the magic coffee too. Great numbers and size and then I change it up with scraps! YES! 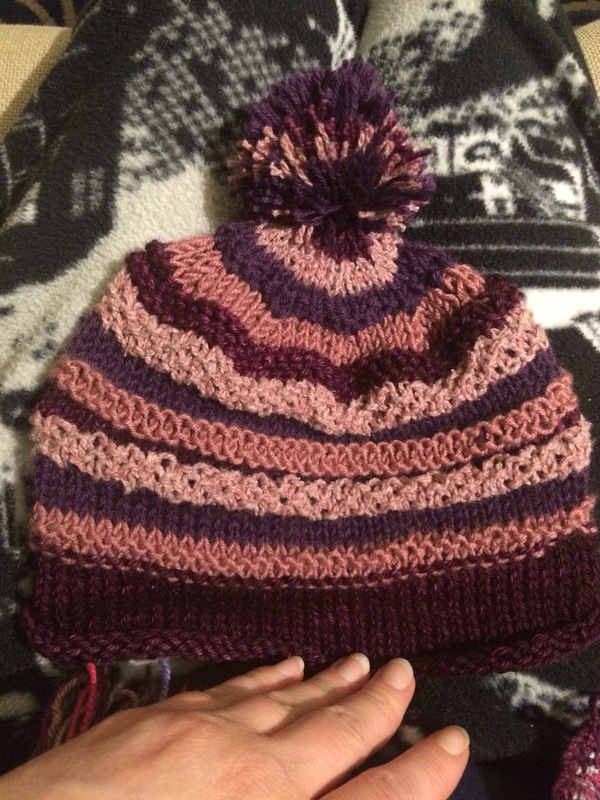 It’s such a great hat for stash busting! That’s what I’m doing right now- using up small balls of worsted, and even doubling sock yarn. I have so, so, so many scraps…. OH, and did you know that the Wee Boy is the second baby on the Magic Coffee Baby Hat pattern page? He’s the one in the dino jammies with the gray and red hat.